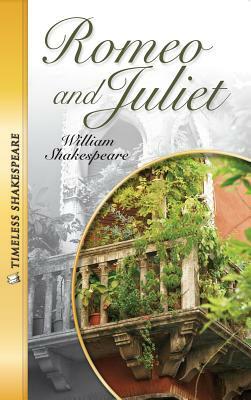 Romeo and Juliet [With Paperback Book] (Compact Disc) | The Drama Book Shop, Inc.
Timeless Shakespeare-designed for the struggling reader and adapted to retain the integrity of the original play. These classic plays retold will grab a student's attention from the first page. Presented in traditional play script format, each title features simplified language, easy-to-read type, and strict adherence to the tone and integrity of the original. Each 5-1/4" x 8-1/4" softcover book is 96 pages. Romeo and Juliet fall in love at first sight. Yet the bitter feud between their families forbids all contact. Can the power of their love stand up against such a longstanding history of hatred?